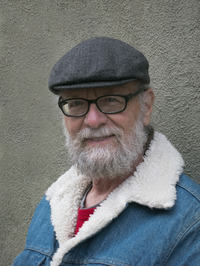 Richard Risemberg was dragged to Los Angeles as a child, and has been working there in a number of vernacular occupations since his teens while writing poetry, articles, essays, and fiction, editing online 'zines, sneaking around with a camera trying to steal people's souls, and making a general nuisance of himself, which is his forte. He's survived long enough to become either a respected elder or a tedious old fart, depending on your point of view, and is still at it. It hasn't been easy for any of us. To ask Richard Risemberg questions, please sign up. Richard Risemberg We lived together ten years before she finally dropped the mask. But she wouldn't drop the knife. We’d love your help. Let us know what’s wrong with this preview of The Drop by Dennis Lehane. We’d love your help. Let us know what’s wrong with this preview of The Surrendered by Chang-rae Lee. We’d love your help. Let us know what’s wrong with this preview of Dept. of Speculation by Jenny Offill. We’d love your help. Let us know what’s wrong with this preview of Dry Bones in the Valley by Tom Bouman. We’d love your help. Let us know what’s wrong with this preview of The Harder They Come by T. Coraghessan Boyle. We’d love your help. Let us know what’s wrong with this preview of The Moons of Jupiter by Alice Munro. I hate to say it, but I found this book dull. The Remains of the Day is one of the great novels, and I love it. Never Let Me Go, despite outrageous premises, never caught my interest. It is far from engaging; the characters are banal and their dialog I hate to say it, but I found this book dull. The Remains of the Day is one of the great novels, and I love it. Never Let Me Go, despite outrageous premises, never caught my interest. It is far from engaging; the characters are banal and their dialogues stilted, and descriptions feel empty except in the very last chapters. The slow reveals generate frustration rather than anticipation, and the story blends Ishiguro's specialty--the exploration of regret--with a plodding British riff on "Blade Runner." Sure, its cover blurbs promise an "elegiac" experience, but it never materializes.